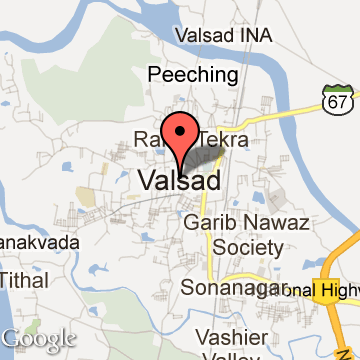 Valsad, formerly known as Bulsar, is a city and a municipality in the Valsad district of the Indian state of Gujarat. The city has a collectorate, a district court, and a police headquarters with a historic prison. Valsad is a small, sleepy town that is characterized by its dynamic people and its mango and chickoo orchards. Queen lead singer Freddie Mercury's family name (Bulsara) is derived from the former name of the city. The best time to visit Valsad is in June-July, post monsoon, when the roads in and around town are at their best. Valsad has a population count of about 1,45,592 according to latest census. Valsad district is home to some popular names such as Vapi (the Chemical Hub of Gujarat), Gundlav GIDC , Killa Pardi , Umbergaon & Bhilad-Sarigam (The Industrial Estates). The union territories of Daman and Dadra & Nagar Haveli, which are important tourist destinations, are located near Valsad. This city's longitude and latitude are 72.98 and 20.54 respectively. Morarji Desai, the former Prime Minister of India and famous Marathi playwright Ram Ganesh Gadkari were from Valsad, as was also the Indian independence activist Bhulabhai Desai The ancestors of British rocker Freddie Mercury (born Farrokh Bulsara) were from Valsad, as well as those of Field Marshal Sam Manekshaw. Some famous actors were also born in Valsad like Nirupa Roy and Bindu. The first X-Factor Reality show in India saw a huge audience as well as participants. One of which was from the city of Valsad - The Sajda Sisters. Three ladies of the Pandit family are highly renowned faces in Musical groups in Valsad and all over Gujarat. Performing almost round the year to places around the globe they have a reign of family members making their contributions in music and singing. Belonging to a regular family the trio went on to top three in the finale of X-Factor the biggest music reality show. Valsad Tourism - Get all information on Valsad tourist places and sightseeing tours. Our website helps you plan your next tour and gives you great ideas on what to do, where to eat, where to stay and when to go there. We give the best information from the web to give you precise, meaningful and useful travel guide for leading places to visit in India and from across the world. Our travel information on VALSAD tourist places, tourist attractions, major sightseeing, the best time to visit, the top places to visit in Valsad, the must-see things to see and do, maps, restaurants, hotels, nearby tourist destinations, local public information and more. 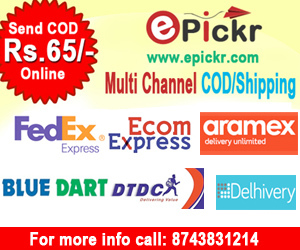 To start with check out information on how to reach Valsad.